The DeWinter Group’s contract and consulting division, DeWinter Consulting, welcomes Manager of Consulting Services, Casan O’Connell. We’ve asked Casan to answer a few questions regarding her past experiences and goals for the DeWinter Group. Make sure to take a look and welcome her to the team! I have worked in tech and finance for over 11 years, 3 of those years I specifically worked in recruitment. In college, I interned for an executive search firm, Heidrick & Struggles, through an Alumni program. 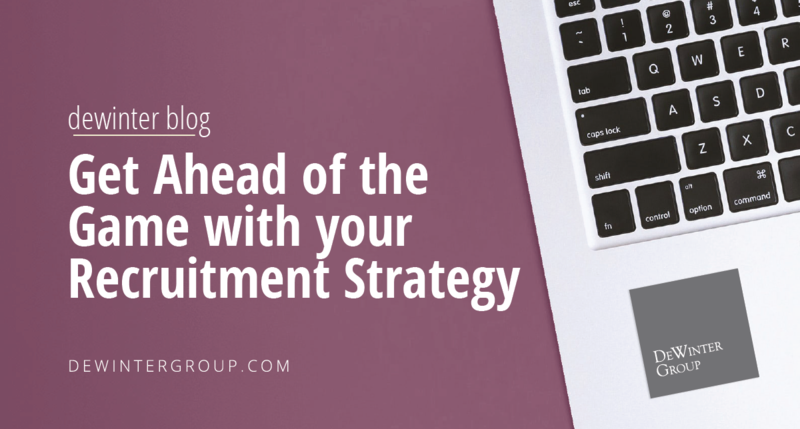 Years later an internal recruiter reached out to discuss an opportunity at a Creative Consulting Firm. The Bay Area is a unique place where the smartest & most successful individuals are working for the world’s most innovative companies. 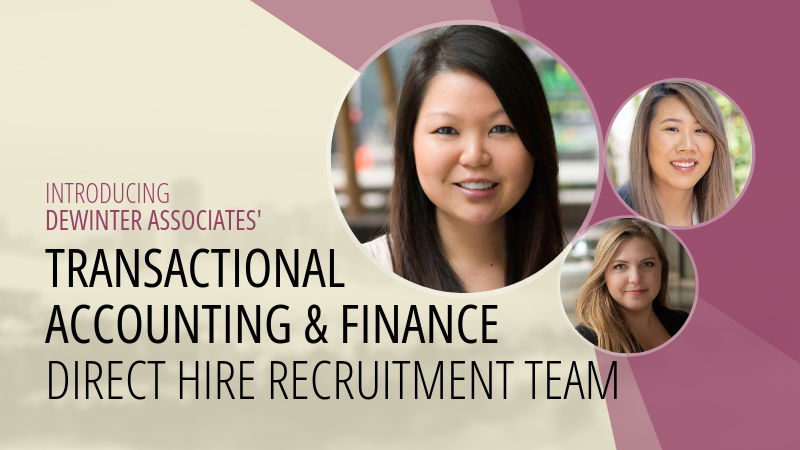 I look forward to working with those accounting & finance professionals who run the divisions that help these companies run smoothly, as their work is the main contributor to the company’s growth. Providing them with the resources they need to keep the company operating is not only integral to their business but a rewarding opportunity that I am excited to be a part of every day. Never stop learning. Education is the one thing no one can take away from you. I heard of the DeWinter Group from working in the consulting industry. But I learned the most about the company through their amazing internal recruiter-Sarah Sachs. I look forward to expanding the Dewinter Group’s presence in the East Bay. 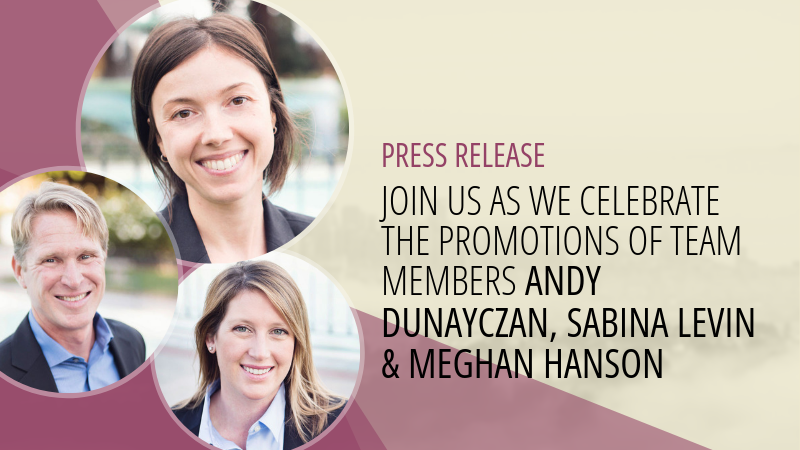 I am excited to be with a team that has already established a great reputation in the industry and continue to grow the client portfolio in a new territory within the Bay Area. I can’t wait to bring in new business and continue the company’s successful track record on the other side of the Bay. Relationships are the key to developing any business, as every deal needs at least two people to say yes! I pride myself on the connections I’ve fostered, not just from doing business, but from taking the time to listen. I enjoy meeting with new people, continuously educating myself, and making sure to stay connected to each relationship I’ve formed. Whether it’s a new idea, a problem that needs to be solved or just needing life advice – I will always make myself available. There is never an idea too small or too big – any lead can turn into business! I am fortunate to have found a company that respects time with family. Each person I met with reiterated that family comes first, and DeWinter will support an effective work-life balance. After having my son, I realized he is not only my first priority but also my biggest motivator. I make sure to make the most of my time in the office-working efficiently and effectively- to provide for my family and make me a successful working mom! I love setting a strong example for him by working hard, while also having quality time with him at the end of each day.